Annual Message to Congress with Documents; Pres. Arthur. 4 Dec. HED 1, 48-1 , v1-13 , 9914p. [2181-2193] Indian hostilities on the Mexican border; lands for public use near the Blackfoot and Flathead reservations in Montana ; annual report of the Sec. of War (Serials 2182-2187); annual report of the Sec. 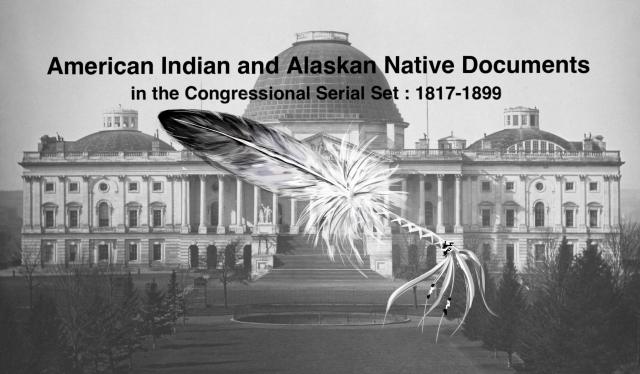 of Interior (Serials 2190-2192); annual report of the Gen. Land Office (Serial 2190); annual report of the CIA (Serial 2191), including appropriations, Indian agents, laws for the government of Indians, allotment of lands in severalty, railroads, intrusions on Indian lands, etc.